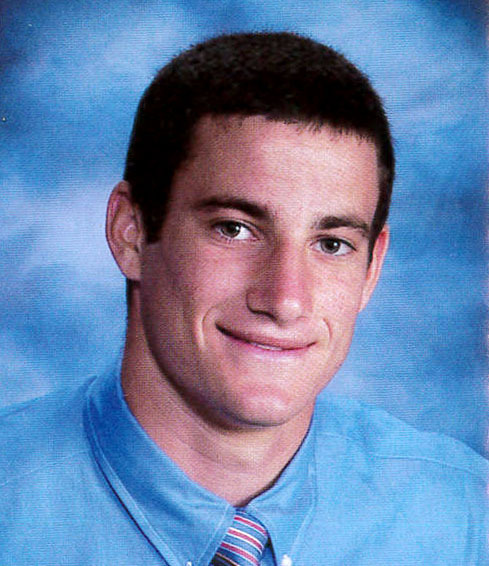 Nathan was the only three-time All-Scholastic athlete for football as chosen by the Boston newspapers. He is one of three players who have earned four varsity letters. He was also a three-time All-Star in the Catholic Central League Large School Division, and was twice chosen as the League Most Valuable Player. In his four-year varsity career, Nathan set all the rushing, receiving and scoring records for an individual player. After a stellar first year as a starter, Nathan developed into the statistically best player in Austin football history. He holds no fewer than 17 individual season and career records. Highlights include career scoring (682 points, more than triple the points of the runner-up at 224), career touchdowns (96), and single season touchdowns (32). He led Eastern Massachusetts as a senior, scoring 218 points and set the state record for scoring in a football career (also 682 points at the time). Rushing from scrimmage, Nathan set the career record (651 carries for 4,354 yards, averaging 6.7 yards per carry, more than double the runner-up at 2,449) and the single season record (1,474 yards). In his junior season (2005) while playing wide receiver, he set records for single game (187 yards) and single season (694 yards). By the end of senior year, he had set the career receiving record (1,474 yards). Nathan also ran winter track and had a strong three-year career in lacrosse, playing in grades 8-10. Coming from Lynnfield, and the youngest of the three Sherr brothers, Nathan joined senior Alexander ’03 playing lacrosse as an eighth-grader, and played two more years with brother Daniel ’05 in both football and lacrosse. He also ran indoor track.